For Valentines I am taking part in the Love For Craft campaign creating something for my home and sharing my favourite craft pieces on Pinterest for inspiration! 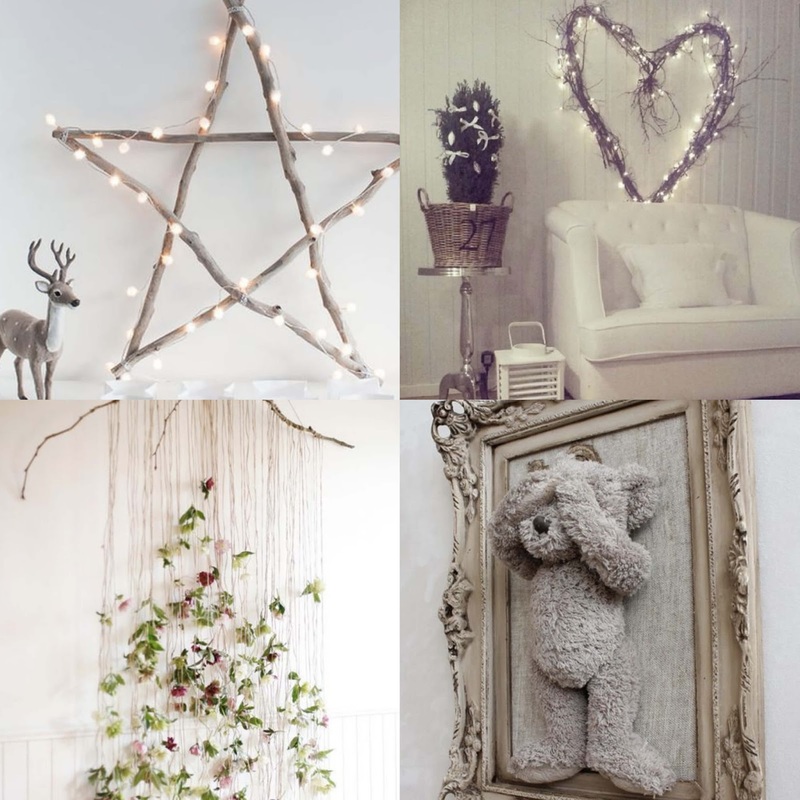 I love these light stick crafts that can be easily made with garden items and string lights. Above my bed I am thinking about creating the light up star to fill the empty space. The hanging flower piece is something that I would love for the bathroom! Hanging on the wall above the toilet. And the last teddy craft piece is something i found on Pinterest and thought it was adorable. Someone had framed their childhood friend in a vintage surround and put it on the wall as an important memory for them. 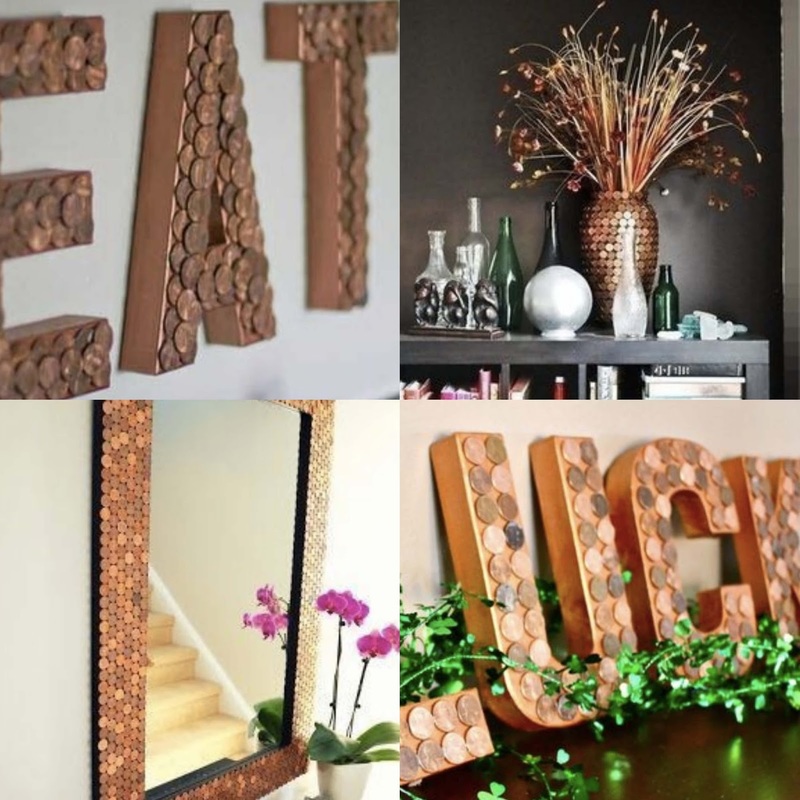 As copper and gold is IN right now, I had to add some of these creations made out of copper pennies. They look so good and obviously can be made in a couple of pence!! I especially like the penny letters for the kitchen and think I will definitely give it a go this summer. I also like the difference it has made on the flower vase. I have an awful flower vase in brown in my loft and thinking about getting it out to do some penny crafts on! 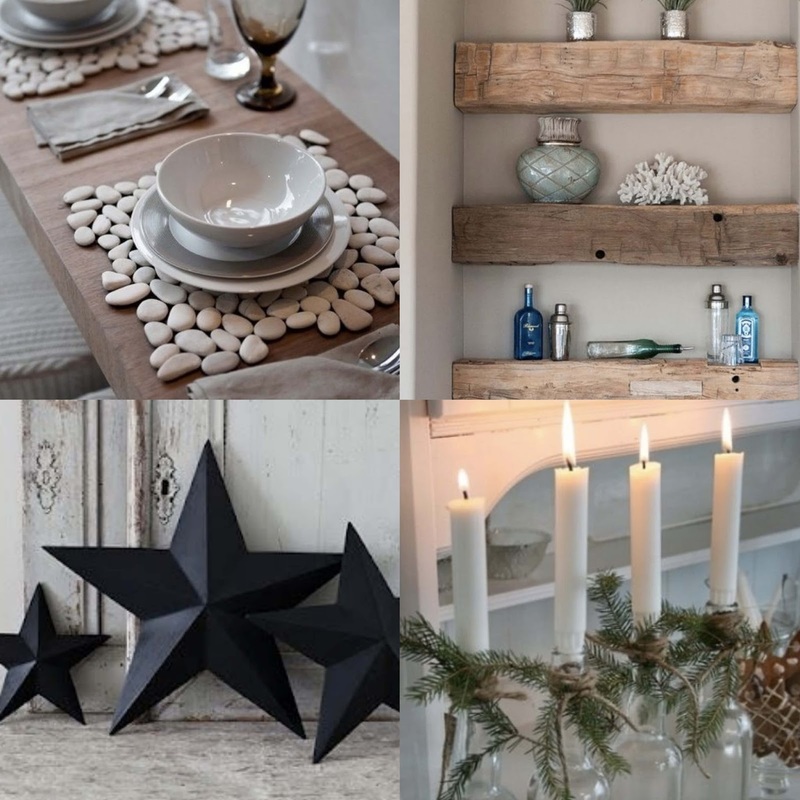 I like how this family has used white stones to create table matts and place matts and how wooden blocks can be used to fill strange small spaces and create shelves. And lastly, these pieces are my fave! 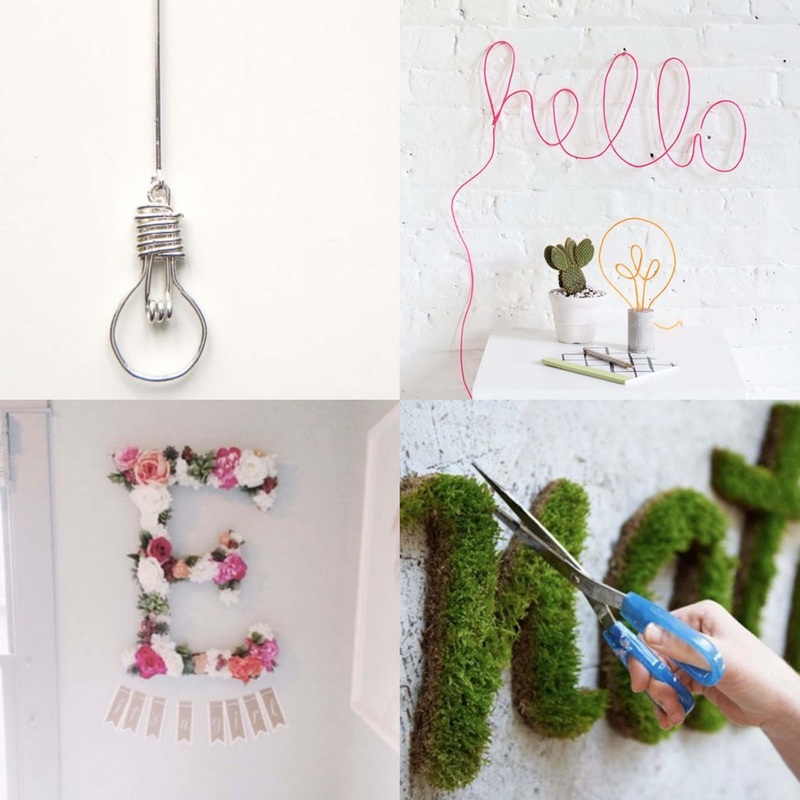 I am looking at what I can add to the walls in my office and love these small but simple craft ideas. The hanging bulb decor is made out of bendy silver wire and would be an interesting touch to an office space. I love the wire Hello message for our kitchen wall too. I have actually seen brands sell these but can see how easy and cheap they are to make yourself! So why not give it a try... I will be! And I LOVE the grass messages too! As you can see in my post here, I love bringing outdoor materials inside! From logs, wood palettes to big plants and flowers, I love that fresh but rustic look and will definitely be giving these grass letter crafts a go. Are you a fan of Home Crafts? What are your favourite pieces? Great post, I love cute little home made things like this too! I really like your blog, let me know if you would like to follow each other!